The programme is free of cost and the duration of the programme is nearly 4 months. Application form for the programme can be downloaded from Dibrugarh University website www.dibru.ac.in. 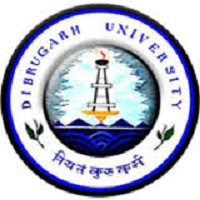 The filled application along with the necessary documents has to be submitted directly to the office of Centre for Computer Studies, Dibrugarh University or the scanned copy can be mailed to ccsduoffice@gmail.com. The candidates will be selected on the basis of a Reasoning and Aptitude test. Jobs Assam is an online community from Assam State for job seekers for finding jobs in Assam and also for all the aspirants who are preparing for various competitive exams. A diverse range of jobs in Assam and free employment services that enable Job Seekers to discover different facets of the labour market and learn numerous employment opportunities, career resources and job possibilities that Indian Organizations have to offer in their particular fields of expertise (employment, education, career development and training). Jobs Assam provides intelligent services that aim to make the recruitment process better for everyone involved. As a result we can attract the highest calibre candidates to opportunities and offer job hunters a wider choice for Jobs in Assam. Here, job seekers can get all the necessary information’s required in order to search for a right job in Assam and throughout the country. So for career in Assam we provide a one stop source for the full range of roles within this region. Jobs Assam also guide you to the best possible way while preparing for Questions Coming in various competitive exams on Assam Gk, Assam current affairs etc. Whether you're looking to advance your career, break into the industry or find your next member of staff or preparing for competitive exam or wanted to keep updated with Assam general knowledge & Assam current affairs, Jobs Assam is the best place to be. Our dedicated team are here to provide you with the best support and advice every time. If you face any problem or have queries related to our website or on your career than feel free to ask us and we will be glad to help and contact you with our best possible answers. Enter Your Email Address Below To get Free Job Alerts. JobsAssam.Com is a Informational Website/ Portal from Assam (India). Copyright © 2017 - 2018 Jobs Assam • All Rights Reserved.